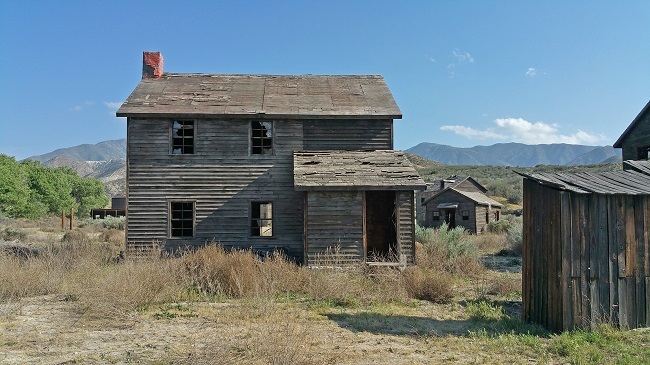 Every abandoned place has a story. 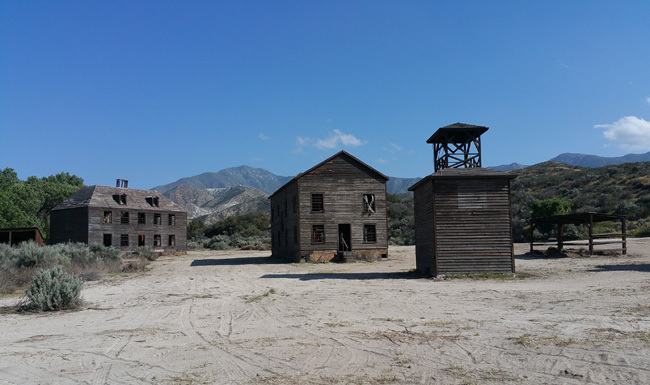 Nestled in the Sierra Pelona Mountains, about fifty miles north of Downtown Los Angeles, lies the old mining town of Acton, California. 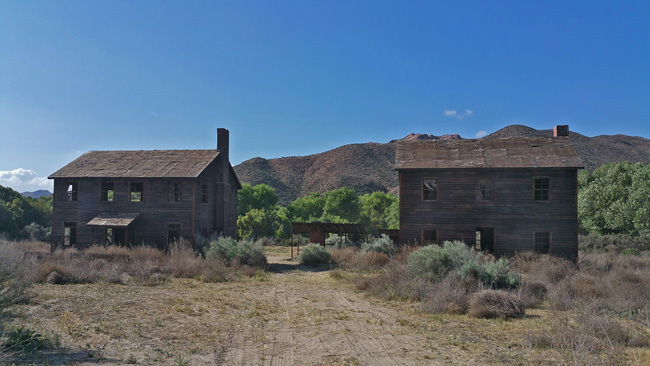 Along the way from Los Angeles to Antelope Valley stands a cluster of abandoned Old-West-style buildings that are not what they appear. and a large clearing occupied by beautiful wooden buildings and a squat little bell tower. 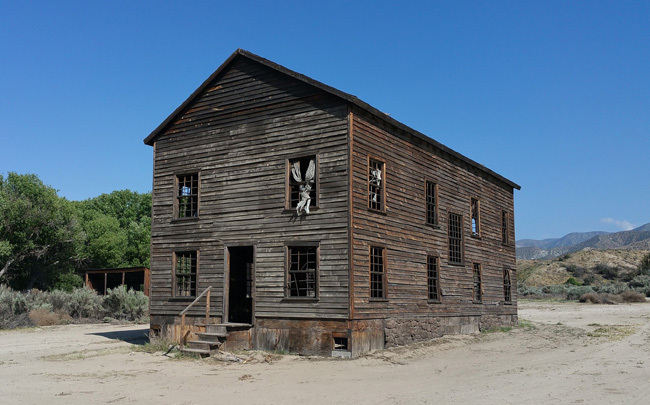 Most are large two-story structures with heavily weathered exteriors. Not a single pane of glass occupies any of the windows. 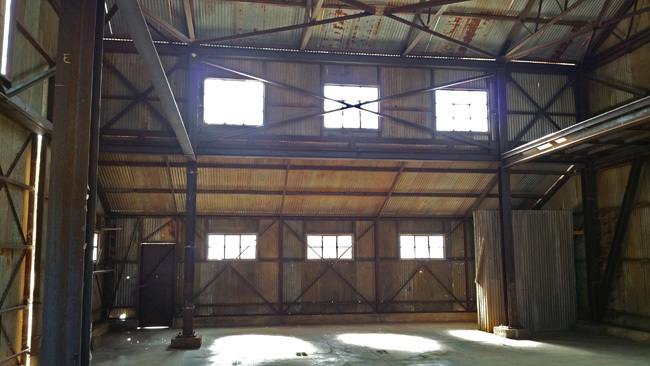 Every building is completely empty, the walls buttressed on the inside by long wooden planks. Ghostly threadbare curtains hang in the empty windows, waving in the breeze. 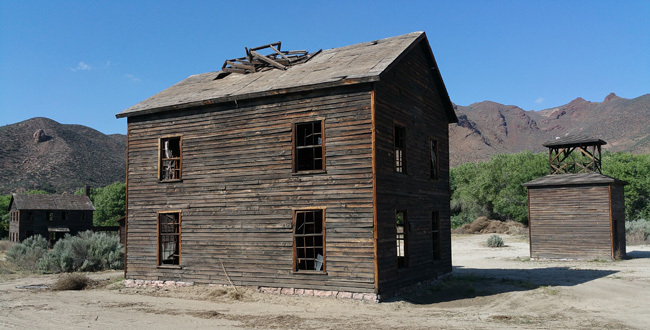 Acton originally served as the site of a temporary railroad camp when the Southern Pacific Railroad was under construction in the late 1870s. The actual town of Acton was founded in 1887 by miners who worked in the nearby Red Rover Mine and named it after Acton, Massachusetts. 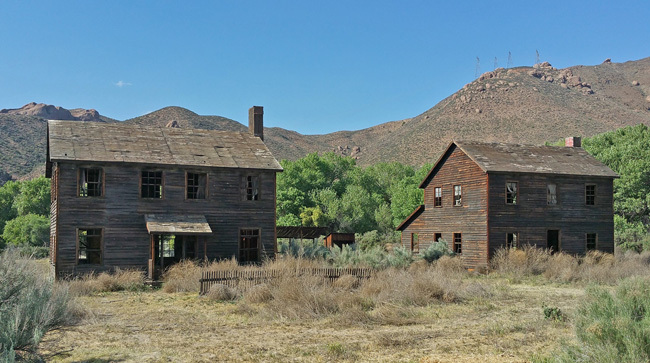 In the late 1800s, Acton began to transform into a ranching and farming community. 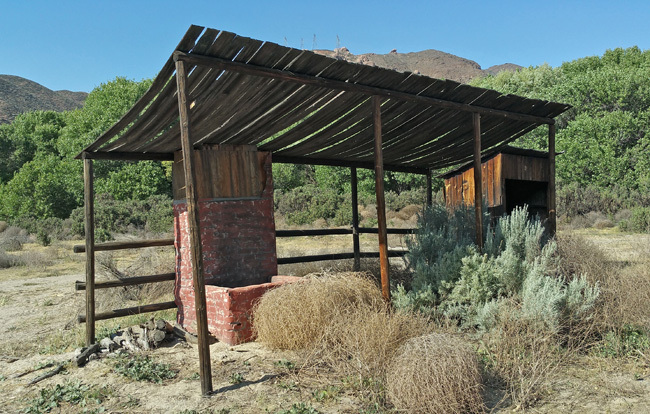 Henry T. Gage, a mine owner who governed California from 1899 to 1903, proposed moving the state capital from Sacramento to Acton, where one of his mines was located, but the plan never panned out. Acton now has a population of over 7,500 and is home to several animal preserves, one of which is run by actress Tippi Hedren. 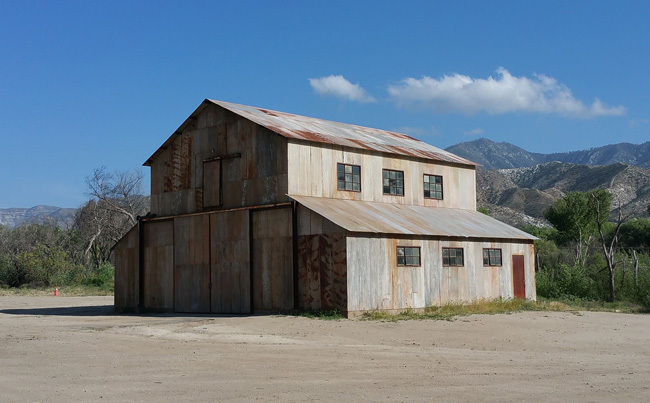 This neat group of old buildings is located on Polsa Rosa Ranch, which has served as a filming location since the 1970s. 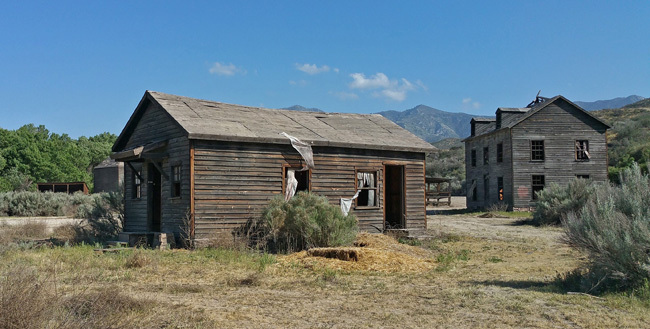 The structures look like historic buildings, but they were actually built as a movie set, which is why they are hollow. 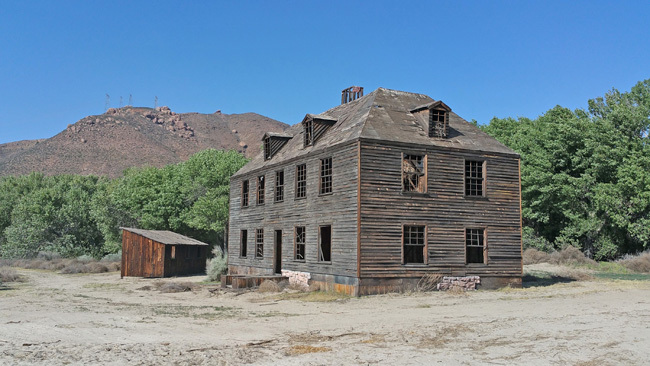 Though it may not technically be a ghost town, several tragic deaths have occurred on the property. In September of 2012 a water tank cleaner drowned on the set of the remake of "The Lone Ranger" starring Johnny Depp. Then in February of 2013, three people died in a helicopter crash during the filming of a show for the Discovery Channel. 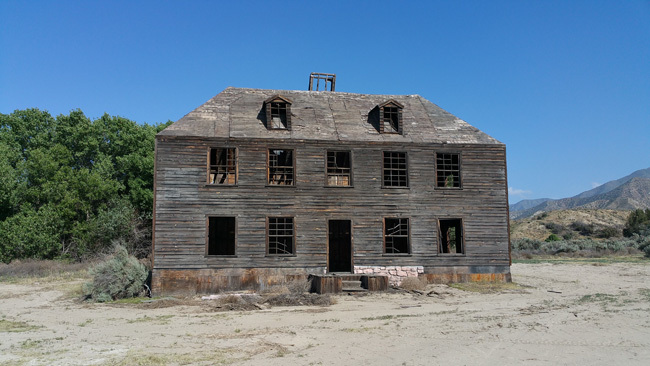 And come back next week, when I'll share pictures and stories from an abandoned home in Los Angeles, formerly owned by Bob Hite, the lead singer of Canned Heat, and the death place of one of the members of the infamous 27 Club. 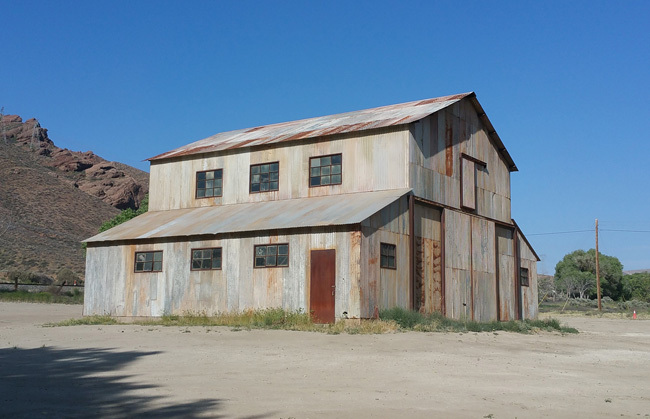 The old buildings were movie sets. That's why no interiors. Just props. Those pics with the curtains are super cool! I love how the buildings are still standing straight. Thanks for the delight! The reason the buildings are "gutted and the walls buttressed" is because they aren't historical buildings. 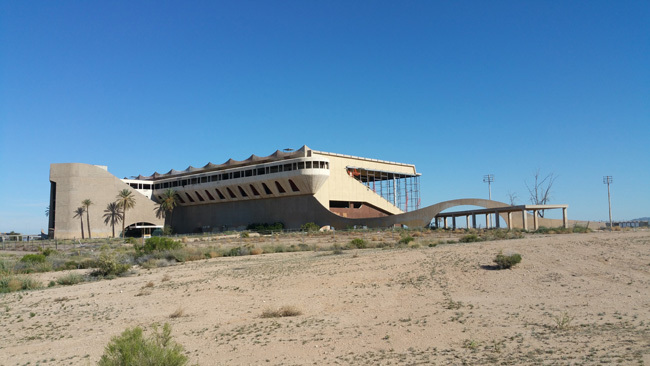 They are purpose built and part of a movie set. Films shoot the exteriors in a place like Acton, then shoot the interiors on an indoor set where they can control sound and lighting. Excellent find. How did you manage to get permission from the owner to enter the site? By the 50's, the Hindi movie industry was booming with success and this relation did not surface until the 1970's when Mumbai was still identified as Bombay. Notwithstanding when you book a motion picture title against a base installment from a not insignificant rundown of classifications;watch movies online free you get the chance to peruse the article surveys of that specific motion picture before purchasing.